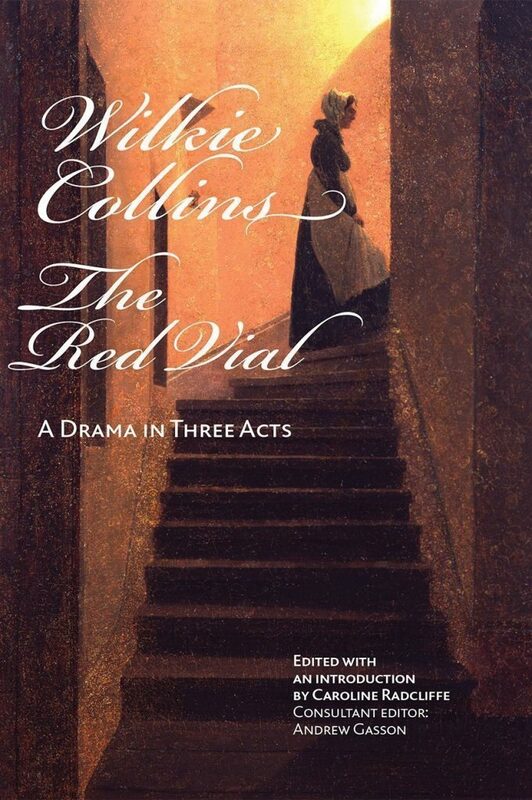 Wilkie Collins’s thrilling three-act drama, The Red Vial, was performed at the Olympic Theatre in 1858. Experimenting with a new, dark realism based on the French theatre of the time, The Red Vial was considered the forerunner to Zola’s Thérèse Raquin. Fuelled by a desperate, maternal love, Madame Bergmann, the widow of a celebrated physician, is ruthlessly driven to poison her benevolent employer and his loyal protégé, the reformed lunatic, Hans Grimm. The play’s uncompromising themes of madness and murder, climaxing with the horrific appearance of a corpse in Act III, shocked audiences and critics alike and the play was put to rest until Collins re-wrote it as the novel, Jezebel’s Daughter, in 1880. This is the first publication of Collins’s script for the Olympic production. It brings together the two known manuscripts, providing a complete, annotated transcript of the play, a scholarly introduction and contemporary illustrations and reviews. This is the second in the series of plays by Wilkie Collins published by Francis Boutle Publishers. The first was The Lighthouse. William Wilkie Collins (1824-1889) was a novelist, playwright, essayist and short story writer, the author of over thirty novels, including The Woman in White, Armadale and The Moonstone. He was a lifelong friend of Charles Dickens. Caroline Radcliffe lectures in the department of Drama and Theatre Arts at the University of Birmingham, publishing on Victorian theatre and sensation drama. She is also an active performer and has directed Wilkie Collins’s play The Red Vial. Andrew Gasson is the author of Wilkie Collins – an Illustrated Guide; and co-author of The Public Face of Wilkie Collins: the Collected Letters and the Collins volume in Lives of Victorian Literary Figures. He is Chairman of the Wilkie Collins Society.